We’re servicing Northern Virginia and surrounding areas, making sure that all cars, trucks, vehicles and people are satisfied. We have been combing the highways, roads, parking lots, and all other areas to help anyone in need and either helps them on the spot or make sure that they were brought to the right place. Navigating a city after an accident or jarring experience like a car dying on the side of the road can be tough. That’s why we have trained professionals there to help you get where you need to be, safely. The best in Northern Virginia, its that simple. Finding a garage that works with their insurance is a priority for us. We make sure that the customer is satisfied when they leave because it is our reputation. Beginning as a family run business, we have grown to service tons of cars and trucks all over Northern Virginia and making sure that all of our new and excited drivers take that same care as a family run shop. We grew up in Virginia and know the roads like a map, so we find you easily and make sure you took on the most direct route to the shop of your request. That’s just how we do it. We service all over Northern Virginia, but will always go the extra mile to ensure that those cars are working properly before they go. When it’s hitched up to our tow trucks, it’s not going anywhere. We like to make sure that it is done safely, efficiently and well the first time around. That way if it happens again, we will be the first number you call right away. We can get your car running again, or bring it to those that can help as soon as possible. Safety is our number one concern, and sitting on the shoulder of the highway is the last place you want to be. We understand that and are here to help. 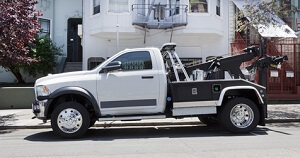 We work through many different kinds of services, including heavy medium and light towing, roadside assistance, lockout assistance, and many other types of help. Think of us like a friendly neighbor, anywhere where you need. Our experienced, professional staff will work as hard as they can to make sure you’re off in a jiffy. We work any time of day, and come when called. Even if it is three in the morning and your parent’s car has started steaming on the interstate, we will be there as soon as possible, to get you home before curfew. For many years, we have serviced Northern Virginia, and look at it like a home. We service in Fairfax, Vienna, Oakton, Clifton, Chantilly, Centreville and Manassas. Whether you need a helping hand or just someone to help you attach the jumper cables, we are the ones to call. We aim to arrive as soon as possible, usually within thirty minutes, as our drivers are constantly on the road, awaiting calls. Call now, and we will be there in a wink.